With a limited 4xLP box set version. 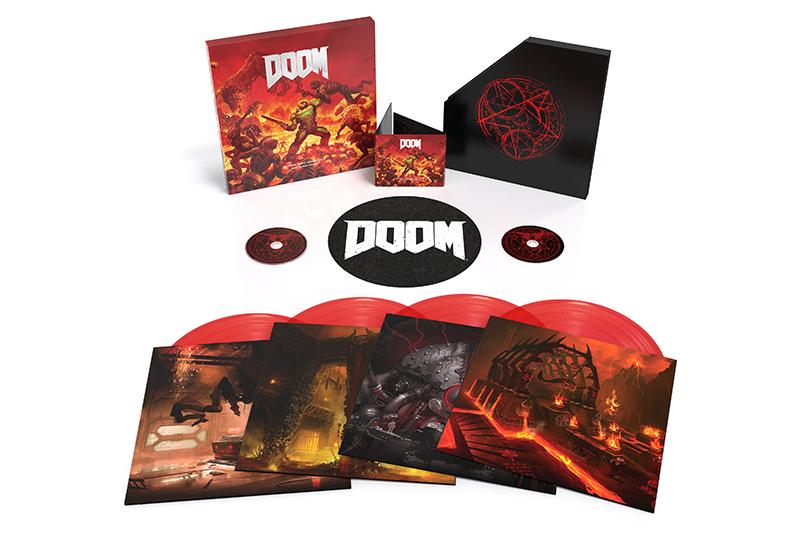 Demon slaying video game DOOM‘s original soundtrack is being released on vinyl for the first time, this July by Laced Records. DOOM, which debuted in 2016, is the fourth instalment of the popular Doom video game series which began in 1993; its music was composed by Mick Gordon. The soundtrack is available on limited 4xLP “blood red” coloured vinyl box set with custom shipmate and CD, limited 4xLP black box set, and “blood red” coloured 2xLP. Pre-order a copy here, listen to the soundtrack in full and check out the track list below.